Inspector General criticizes conflicting exam policies and questions whether the VA contacted all veterans wrongly denied care and benefits. A new report by the VA’s Office of Inspector General (OIG) blames tens of thousands of improper brain injury exams on contradictory policies issued by high-ranking Department of Veterans Affairs officials. Even after the improper exams were exposed, the report questions whether the VA contacted all veterans nationwide who may have been wrongly denied traumatic brain injury (TBI) care and benefits. The findings paint a picture of a government agency where the right hand literally did not know what the left was doing. The OIG report comes in the wake of a multi-year KARE 11 investigation that documented how the VA was using unqualified doctors and inadequate tests to improperly deny veterans TBI benefits and access to promised medical care. Department of Veterans Affairs rules stated that only highly trained doctors in one of four specialties – including neurosurgeons and neurologists – could do the initial examination to diagnose whether a veteran suffers from a TBI. In August 2015 KARE 11 documented how the Minneapolis VA had violated that policy. Records obtained through the Freedom of Information Act (FOIA) revealed that from 2010 through 2014 unqualified staffers had been used to conduct initial TBI examinations. Instead of neurologists, records revealed that some TBI exams were done by nurse practitioners. In fact, only one of the 21 staffers who made the initial diagnosis of whether a veteran had at TBI was properly qualified according to the records. After KARE 11 started asking questions, the Minneapolis VA began sending letters to hundreds of area veterans informing them they were entitled to new examinations. Responding to KARE 11’s discoveries, Congress began looking into the situation. Rep. Tim Walz (D-MN) demanded an official nationwide investigation. “If it happened in Minneapolis it's possible, and I would argue probable, it happened elsewhere," he told KARE 11 at the time. While the federal OIG investigation was ramping up, KARE 11 expanded its own investigation by filing FOIA requests for information about people performing TBI exams at other VA facilities nationwide. Before long, a VA doctor in Texas admitted it was happening there, too. “The issue of unqualified doctors seeing veterans for TBI exams, it’s happening here in Amarillo?” asked investigative reporter A.J. Lagoe. “Absolutely,” responded Dr. Roy Marokus, a retired Army Colonel, with two tours of Iraq under his belt. At the time, he was Chief of the Amarillo VA’s Compensation and Pension Unit. “There were traumatic brain injury exams that were done by people who weren’t supposed to do it,” Dr. Marokus explained. In May 2016, the VA admitted there was a “systemic national problem” impacting veterans in all 50 states. An internal VA review identified 24,905 veterans nationwide whose TBI exams had been done by unqualified medical staff. Those veterans were sent letters notifying them they were eligible for new TBI testing and a fair shot at specialized treatment and benefits. The new Inspector General report raises questions, however, about the accuracy of that internal review. “We’ve still got work to do,” said Rep. Walz in response to the OIG’s findings. &ldquo;We've still got work to do,&rdquo; said Rep. Tim Walz in response to the OIG's findings. The report lays much of the blame for veterans receiving inadequate TBI exams on a pair of VA executives. One lead the VA Office of Disability and Medical Assessment (DMA) while the other was in charge of the Veterans Benefits Administration (VBA). The OIG report found that from 2007 to 2015 the two sides of the VA were issuing conflicting rules about who could diagnose a veteran’s brain injury. During that time period, VBA updated its policy on TBI medical examinations five times while VHA policies changed four times, causing years of confusion. Rep. Walz believes that issue of conflicting guidelines about who can perform exams has been fixed. “I don’t think this problem is happening still where we’re having unqualified examiners see people,” he said. 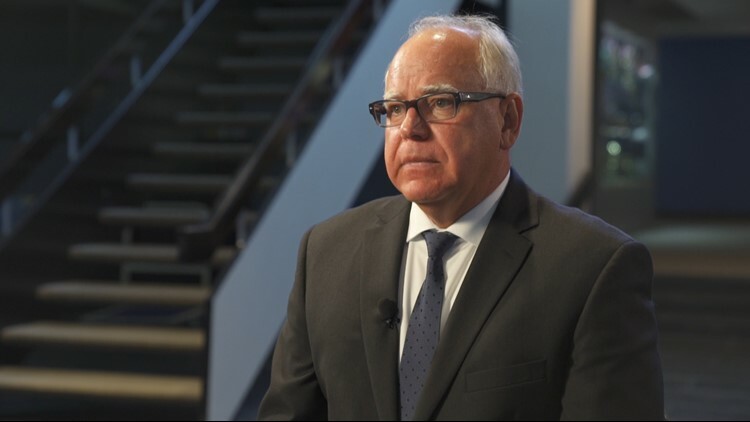 However, Walz wrote a letter to new VA Secretary Robert Wilkie expressing concern about the veterans who may not have been contacted about their improper exam. Walz also requested additional information about actions the VA is taking to ensure all eligible veterans receive a fair shake at benefits to which they are entitled. This investigation started with a tip. If you have a suggestion for an investigation, or want to blow the whistle on fraud or government waste, email us at: investigations@kare11.com.